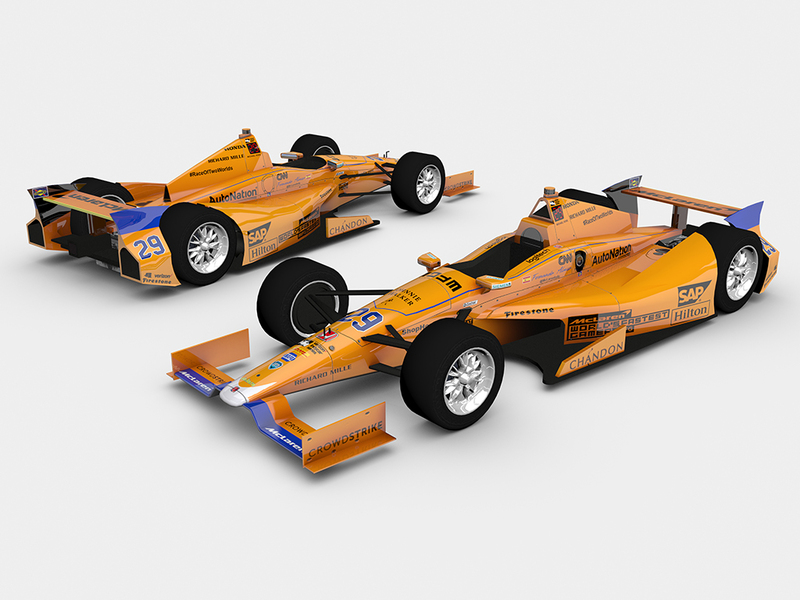 Fernando Alonso's ride from the 2017 Indy 500. Credits to Smiffsden for the template, Google for logos. Comes with ratings, and an AI and Multiplayer option. It looks really good. now i have to make sure Alonso wins i agree hopefully more 2017 will be painted. weird we asked for this mod but once it came out people lost interest. Awesome work! I love seeing paints for the DW12.